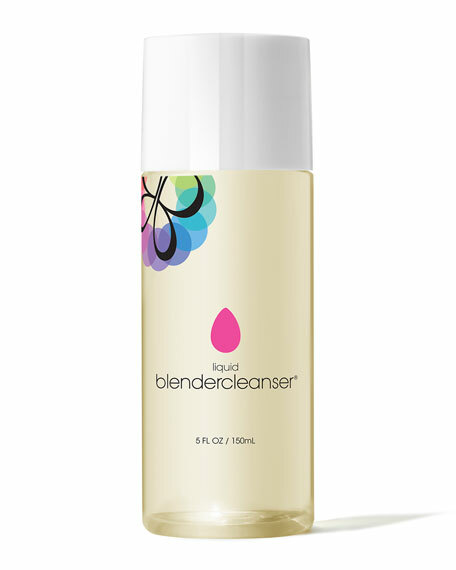 Beauty Blender liquid blendercleanser, 5 oz. Beauty Blenderliquid blendercleanser, 5 oz. Give your favorite sponge a bath with this newly formulated liquid blendercleanser®. Made especially for soaking out tough stains, the demineralized water and natural sea salt help to detoxify and absorb toxins. Lavender's soothing scent provides aromatherapy benefits to beautyblender®. Demineralized water and natural sea salt are earth-friendly and keep your beautyblender®and brushessqueaky clean! 147 mL / 5 fl. oz. For in-store inquiries, use sku #1982902.